Ready for a Year around Vacation in your new back yard? This home has a modern resort style heated pool and spa built summer 2017 with the latest technology with remote! 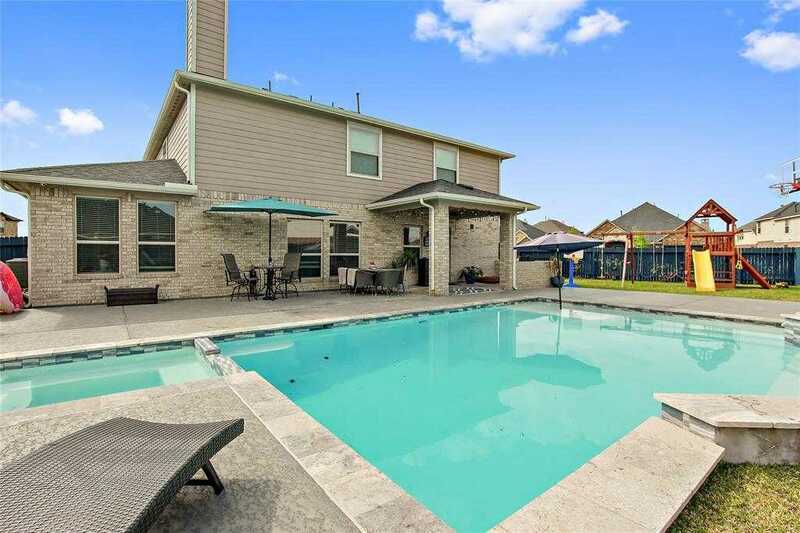 This home is located on a large premium cul-de-sac homesite zoned to the award winning CCISD Education Village. Built Dec 2016, This amazing home includes a Built in Honeywell Security Multi Camera system on the interior & exterior. A new side iron fence addition perfect for a pet run! A 5.1 Surround Sound Speaker System is in the game room ready for movie night. A built in Pest Control System, a gorgeous double sided fireplace, A sunroom, A 3 Car Garage, & much more! The entire home is 100% Energy Star Certified, As well as Certified by Environments for Living. #energyefficient! Ready for your new home? It is priced to sell. Don 8217;t wait!